Sep 13, 2011 | ancient, architecture, buildings, decay, textures. 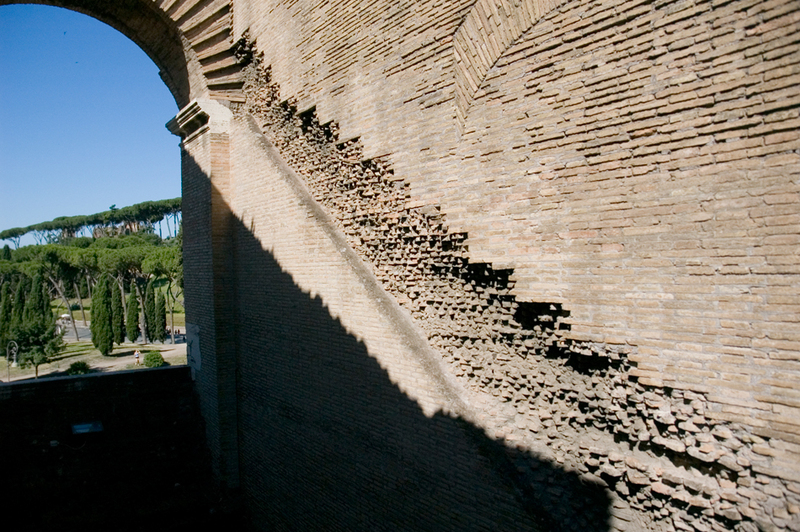 These stairs used to lead up to the nosebleed section of the Colosseum where the plebeians sat. If you ever feel amazed at how efficient modern stadiums are at entertaining us and taking our money, look no further than the roman original. They had it down to a science by the year 100AD.